OPPOSITION Leader Kamla Persad-Bissessar yesterday welcomed the cancellation of the Sandals project in Tobago, in a statement after the withdrawal was disclosed by Sandals CEO Gebhard Rainer at a briefing held by Minister of Communications Stuart Young. 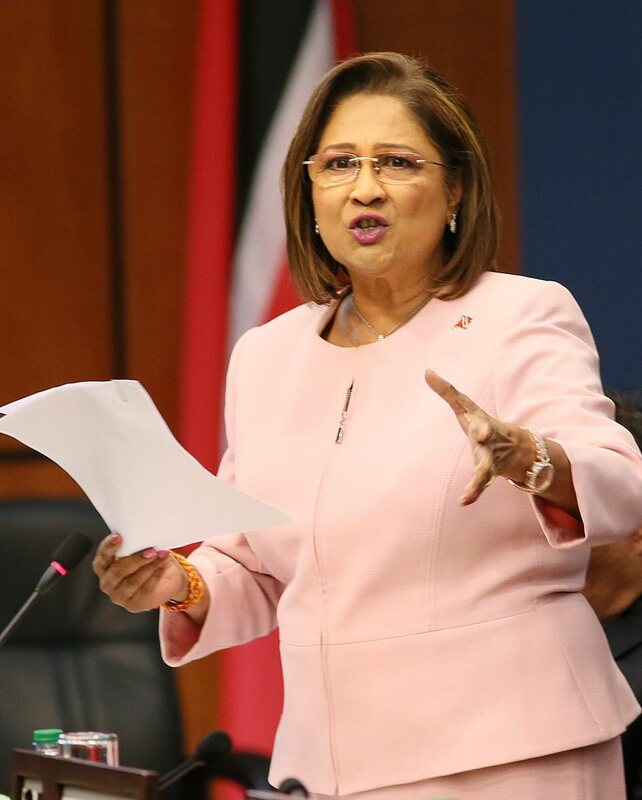 “We are of the view that the decision by Sandals to withdraw is a positive one for the people of TT,” said Persad-Bissessar. “The billions of dollars that would have been spent can now be invested in Tobago for job creation, health care, education, crime fighting and social services. Earlier she had told Newsday she was not surprised by the withdrawal, but queried Young’s explanation. “Minister Young said it was due to a handful of people, but if there were a transparent process there were not have been all these questions for debate and this would not have happened. The reason Minister Young has given, negative publicity, is not the real reason. Persad-Bissessar elaborated in her later media statement. She alleged the Government had run a PR campaign to vilify various stakeholders such as environmentalists, which left many asking if the Government was working for the people of TT or for Sandals. This project was mired in controversy even before the Government took office, as Dr Rowley had improperly held talks with Sandals as Opposition Leader, she alleged. Saying the Government had no plan for Sandals, she said the inevitable withdrawal from Tobago was no surprise. “His game-changers are all pie-in-the-sky desires, not viable research-driven policy recommendations.” She said Rowley “game-changers” like the Dragon Deal, Petrotrin closure, the seabridge and Sandals, have been shrouded in secrecy and were bad deals the Government wanted to force onto the population. Persad-Bissessar said the Government had said Sandals would not be built on environmentally-sensitive areas, but the Sandals EMA application showed the opposite to be true. Alleging poor governance by the Government, Persad-Bissessar said the people of TT must get a chance to choose a new leader and team to build a brighter future for the country. Reply to "Kamla: Sandals withdrawal is good news"